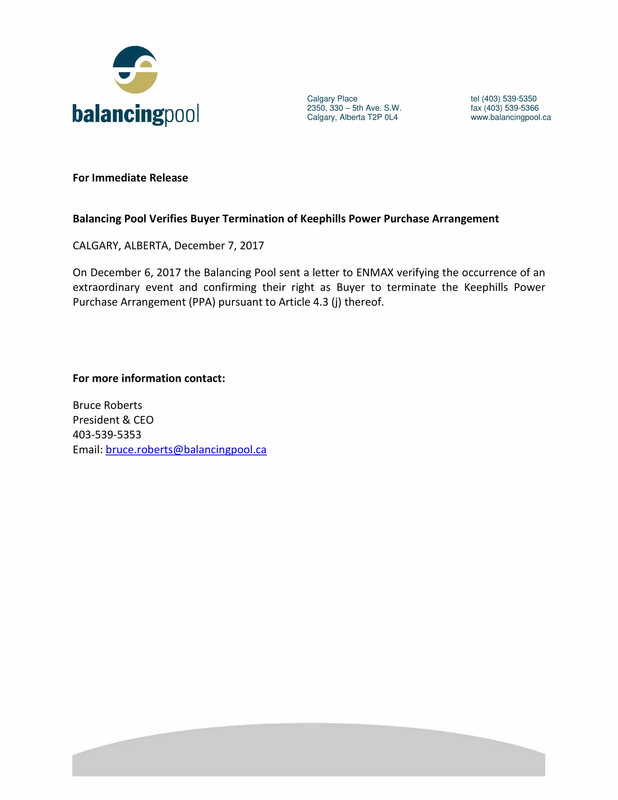 On November 28, 2016 the Minister of Energy executed Ministerial Order 116/2016 enacting the Balancing Pool Amendment Regulation. 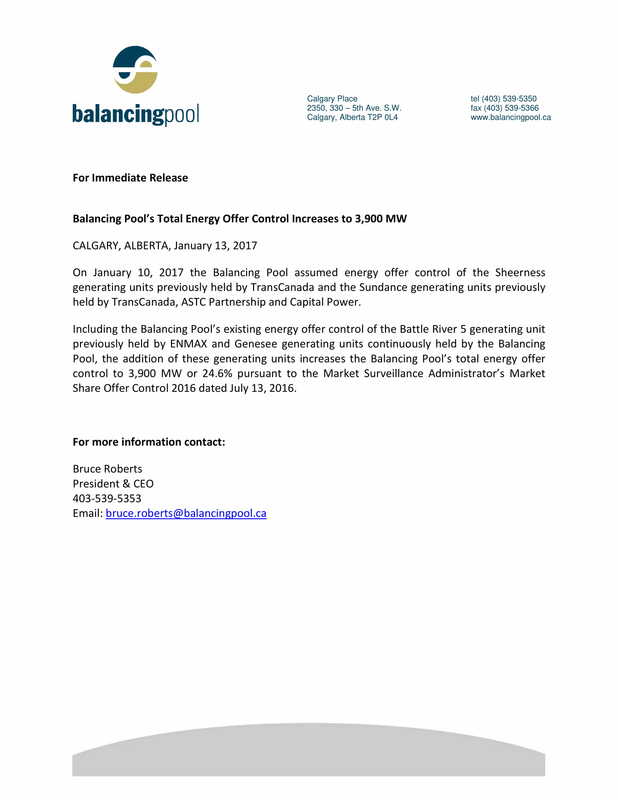 The amended Regulation in part establishes the annualized amount to be recovered from electricity consumers throughout 2017 at $65,000,000. 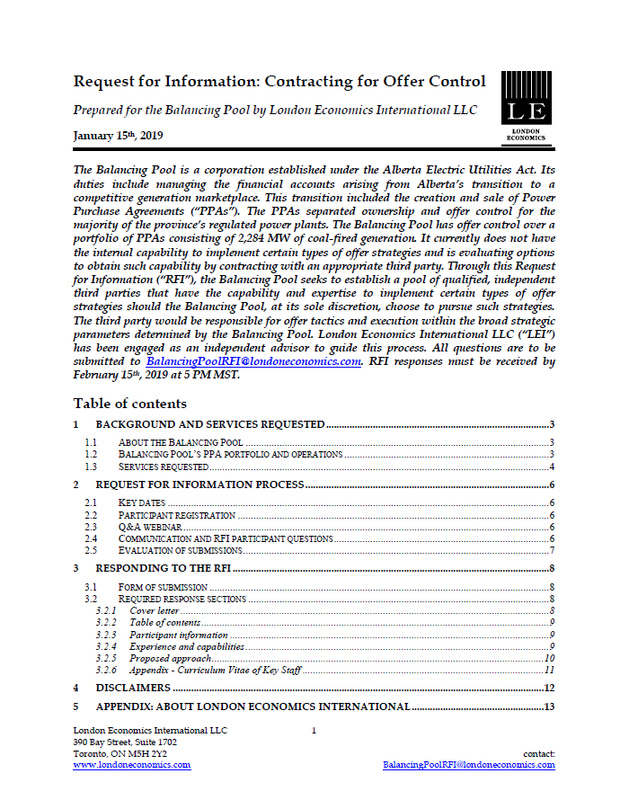 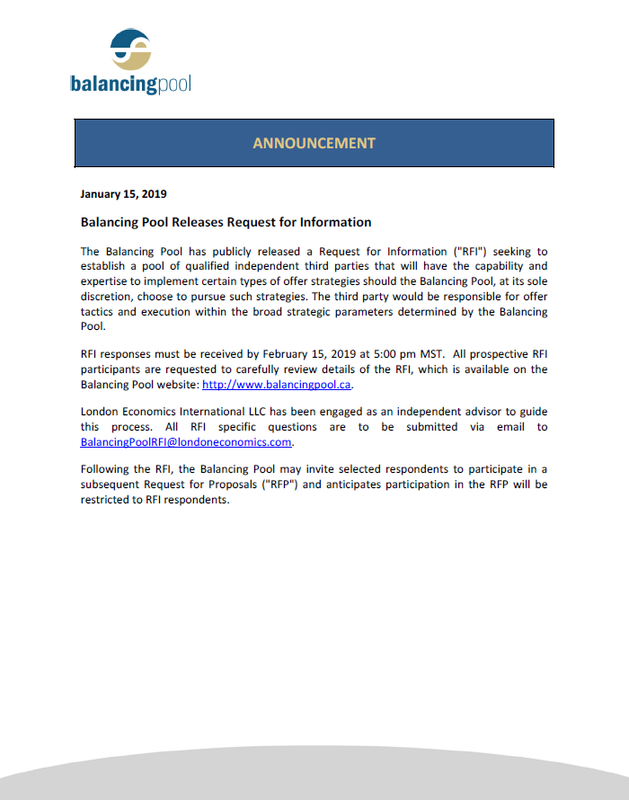 Accordingly, the Balancing Pool announces that a Consumer Charge of $1.10/MWh of consumption will be implemented in 2017 to ensure that $65,000,000 is collected pursuant to the requirements of the amended Regulation. 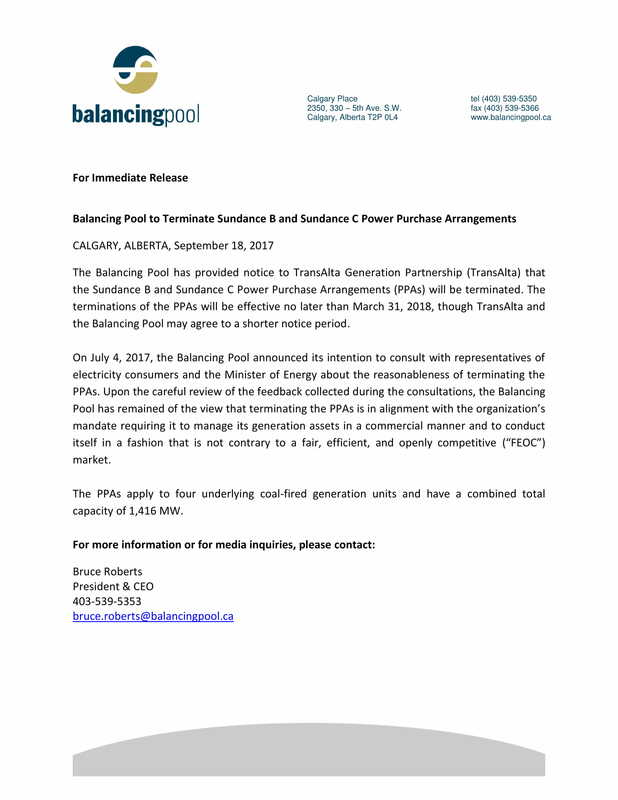 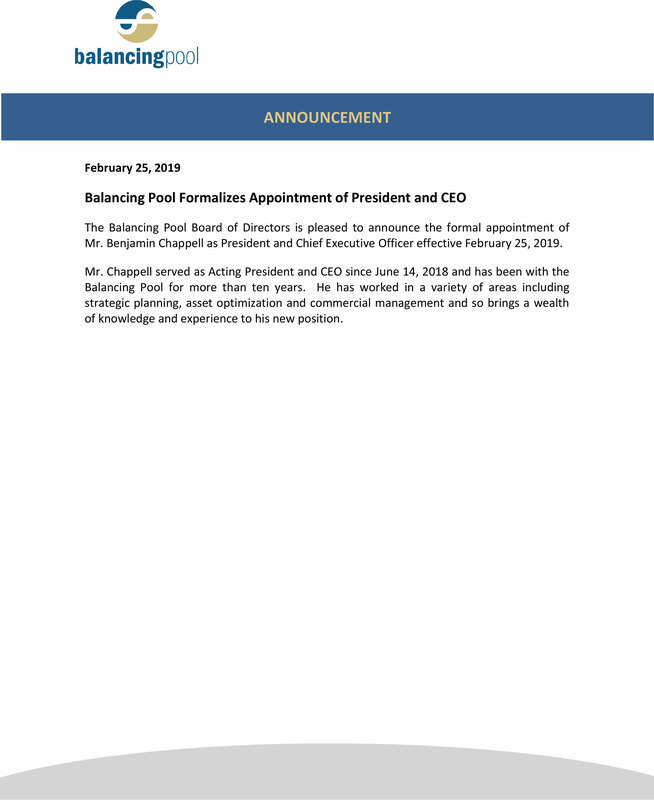 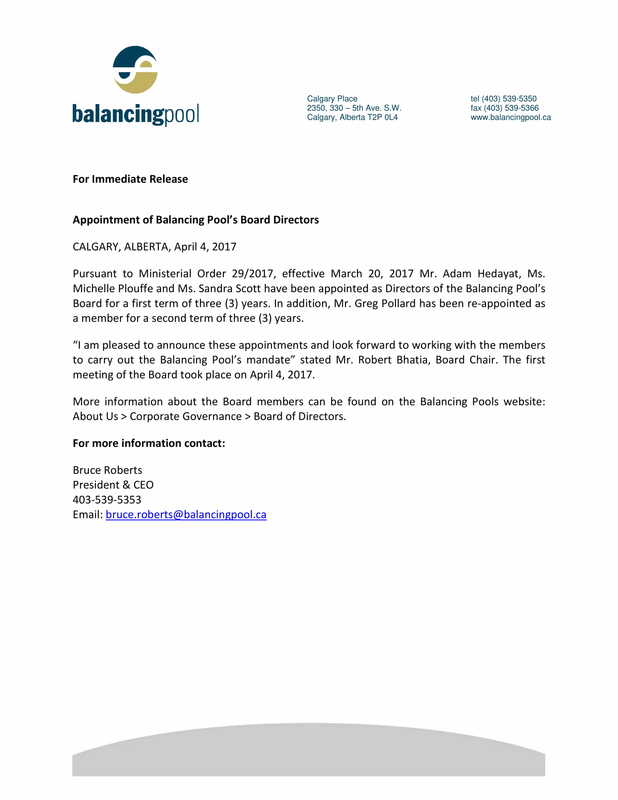 “The unanticipated return of the PPAs to the Balancing Pool has detrimentally affected the Balancing Pool’s financial position and has resulted in the need to collect funds from electricity consumers in order to meet our financial obligations” stated Bruce Roberts, President and CEO. “Fortunately, consumers are expected to benefit from sustained low power prices throughout 2017 that will serve to reduce the impact on electricity bills” Mr. Roberts added. 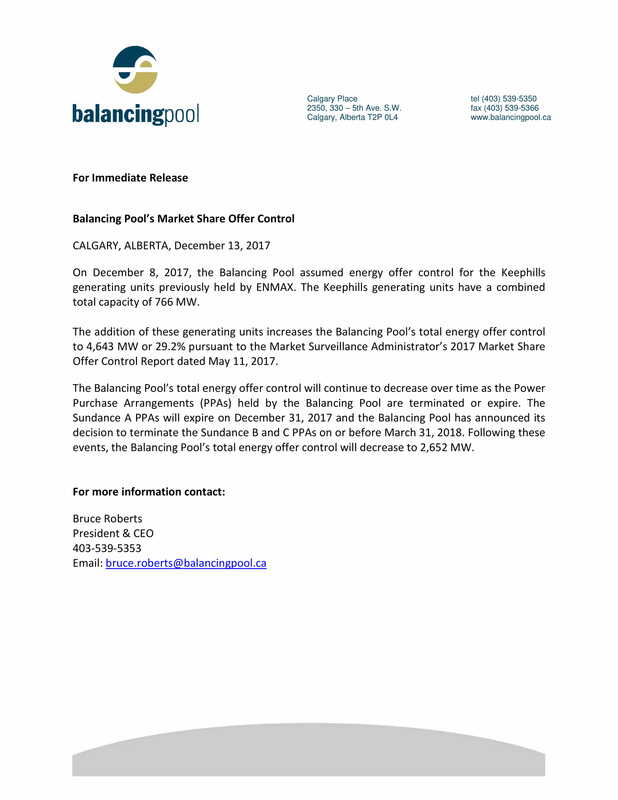 While the Balancing Pool’s mandate has always permitted any surplus or deficiency between revenues and expenses to be allocated to electricity consumers through a consumer allocation or charge, 2017 is the first time in seventeen years that the Balancing Pool has had to charge consumers since the Balancing Pool was established in 1999. 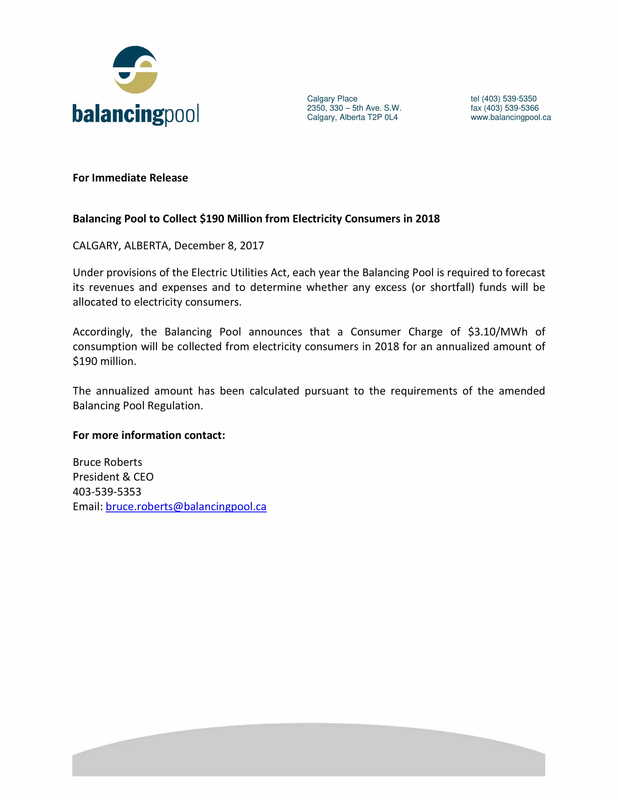 Prior to 2017, the Balancing Pool has allocated in excess of $2.5 billion to electricity consumers since the initiation of the annual consumer allocation in 2006.